The body of Kevin Mcleod, 24, was recovered from Wick harbour on February 9, 1997. The heartbroken mum of Kevin Mcleod last night described her “living nightmare” on the 22nd anniversary of her son’s death at Wick Harbour. June Mcleod revealed she cries almost every night thinking “how scared and frightened he must have been” the night he died. The 24-year-old electrician’s body was recovered from the Caithness harbour on February 9, 1997. He was last seen in the area in the early hours of the previous morning, and police are investigating witness claims that people were with him at the time, instead of falling into the water by accident. It was discovered he had suffered serious internal injuries and his parents Hugh and June believe he was murdered. Police Scotland finally admitted failings in the case and revealed that an instruction by the then Procurator Fiscal to leading officers to treat the death as murder went ignored. Mum June said: “It is truly heart-breaking that my eldest son Kevin is no longer with us. “Every day for the last 22 years has been a living nightmare for me, his dad, his brothers, and all the family. She added: “Kevin was a quiet, kind, and fun loving person who didn’t deserve to die in this way. We believe this was a terrible crime. “I urge people from Wick or further afield to please search their conscience and come forward with any information regardless how insignificant they think it is. 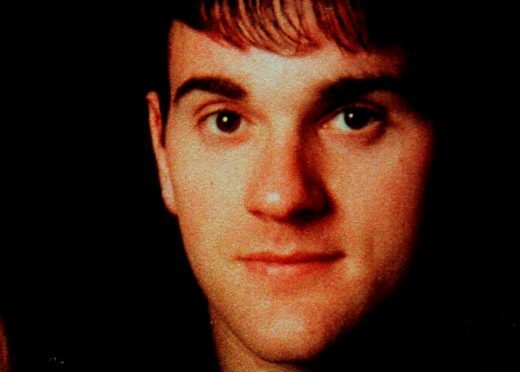 “The police need the names of those responsible, and Kevin deserves the justice that he rightly deserves which I hope will finally prevail before my own life has ended”. An ongoing review into the case is being carried out by the Criminal Allegations Against the Police Division (CAAPD), which was instructed by the Lord Advocate in May 2018. Detectives interviewed 15 witnesses last year following new information into the death of 24-year-old electrician Kevin Mcleod. The move was the result of an alleged eyewitness coming forward claiming he had heard a commotion, a splash and witnessed two people – who he said were police officers – watching Kevin struggle in the water in the early hours of February 8, 1997.